The Kilo Parmie Challenge is only available after 4pm unless you call and book in advance! We also apologise that if we’re super busy, you may not be able to take the challenge (we need to keep track!). Well, they say 3rd time is the charm… but they lied! Turns out 4th time isn’t the charm either. That’s right, last week we had not one, but TWO more challengers step up to the enormous plate. Eddie was enthusiastic as he approached the breast but only made it half way before giving in to the full feeling in his belly. Scott was next to wrap his lips around the 4 breaded beauties only 20 minutes after Eddies attempt. It was a very promising beginning, slowing down after 3 parmies and most of the mound of fries. Round of applause to both boys for a noble effort, but the search for our hero or heroine continues! 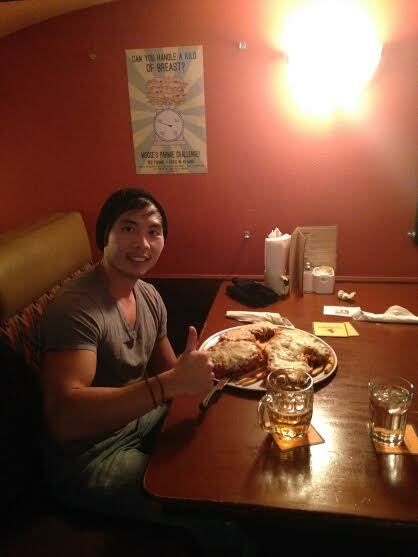 Are you going to be the next brave warrior to take on Moose’s Parmie Challenge?! 1KG chicken, 1 mound of fries, 1 stomach to fill… in 45mins. Don’t be a chicken, eat the chicken! 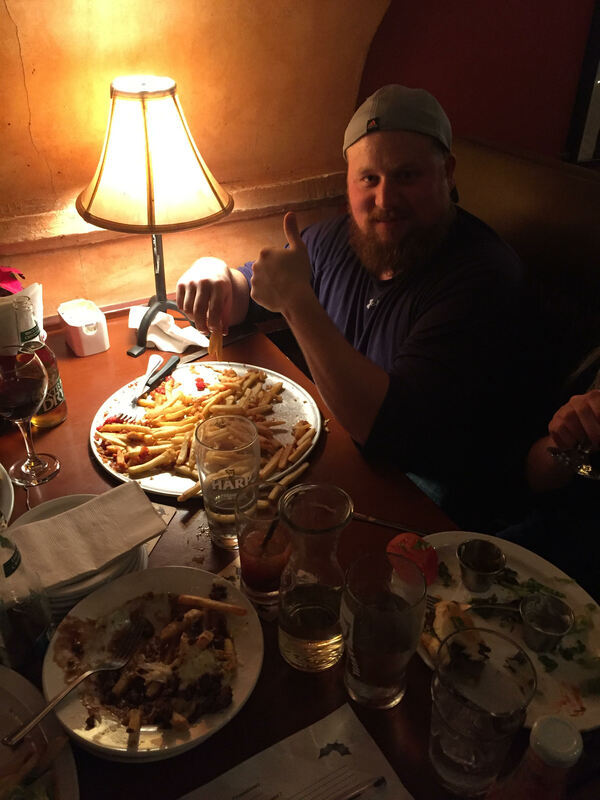 Moose’s Parmie Challenge takes another casualty! Tonight we had our second ever challenger for our ‘Parmie Challenge’. Mike wolfed down the 4 for parmies like they were going out of fashion. Time was on his side, but the fries were not. 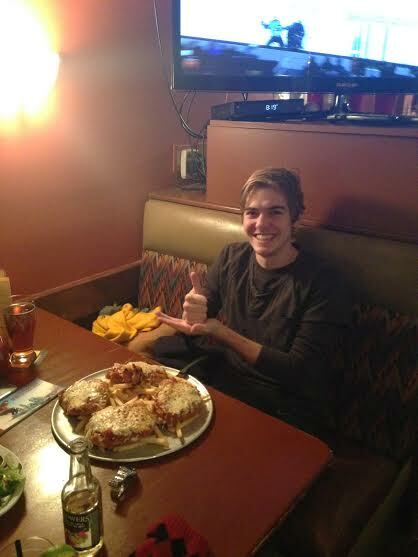 Half way through the mound of golden, crispy potatoes he had to surrender himself to the beast. It was a noble effort Mike and we look forward to seeing if anyone can get any closer to victory! Will you be the first to conquer our kilo of breast and fries?! Come into Moose’s in the New Year to step up to the plate… the very enormous plate!